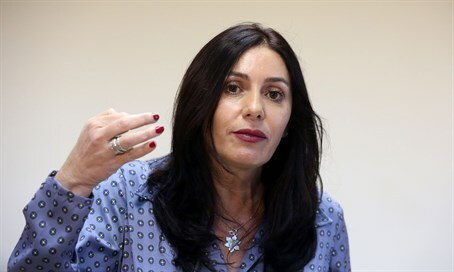 Sports and Culture Minister Miri Regev (Likud) on Saturday strongly condemned the United Arab Emirates (UAE), the same day that two Israeli judaokas won bronze at a prestigious tournament in Abu Dhabi - but were forced to compete without the Israeli flag. "The boycott against Israel in sports and culture is infuriating and outrageous, and I intend to fight it," declared the minister. "The national teams of Israel, like the national teams worldwide, have the right to represent Israel with the flag and the national anthem in every tournament and on every continent," continued Regev. Promising not to let the incident pass by, she said that "after the judo team returns we will clarify what happened there." "At the same time, it's important for me to tell our athletes who are forced to contend with very difficult dilemmas - I stand behind each and every one of you, we love you and are proud of you." At the Grand Prix in Abu Dhabi, Yarden Gerbi and Sagi Muki both won bronze medals, but were forced to appear under the International Judo Federation flag, and not under the Israeli flag. The flag was likewise forbidden from their uniforms, under "security" pretenses. The absence of the Israeli flag was most apparent at the medal distribution ceremony, when it was the only flag glaringly not present among the flags of the winners. The Israel Judo Association said that had they not agreed to perform without the flag, the judaokas would have simply been barred from the tournament altogether in a blatant display of discrimination.